Today marks a milestone for CapeRay. For the past 52 weeks we have posted a Friday blog, exploring some aspect of our business, without skipping a single week. You might be wondering: What was the motivation for this initiative, what has been the impact and will our odyssey continue for another year? In mid-2011 we decided that our website needed a makeover by taking advantage of the latest developments in search engine optimization (SEO). We contacted Philip van Zyl of Get Social Media, a company based here in Cape Town that specializes in implementing SEO as part of an organization’s online marketing strategy. In addition to researching the top ten keyword phrases, which we subsequently incorporated in our website pages, Philip also recommended we start writing a regular blog to draw traffic to our site. 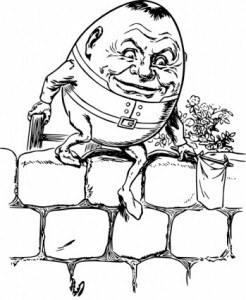 The word “portmanteau”, which is a blending of two words, was originally coined by Humpty Dumpty in Through the Looking-Glass when he explained to Alice that the word “slithy” meant “lithe and slimy”. Similarly, the word “blog” is a portmanteau of the words “web” and “log” and has been in use for the past 15 years. A blog is simply an online journal or diary of personal observations, often with hyperlinks to other sites. Our company blog has the identical look and feel to our website, thus maintaining the continuity of our brand. We also decided to use one of three different content types — thought leadership, a summary of industry news, or company news — for each week’s story. Examples from the past year have included shining a light on the truth, imaging dense breast tissue, and CapeRay getting its wings, respectively. 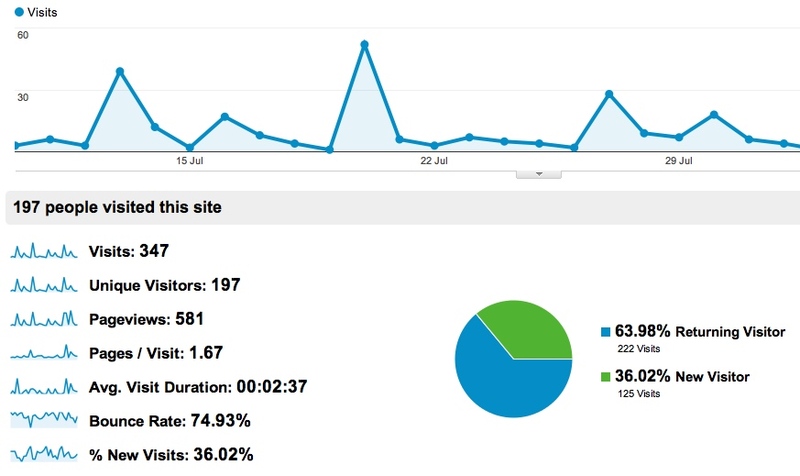 To measure the effectiveness of our blog, we have embedded code that takes advantage of the power of Google Analytics. A few hours after publication every word in our blog has been indexed, enabling internet users to find our latest blog. It also keeps track of each person who visits the site, informing us where they come from, how much time they spend on the site, and whether they are a new or returning visitor. In the past year there were 1,293 unique visitors to our blog site and the average visit duration was more than 2 minutes. We have derived significant benefit because each story requires some background research and we believe our visitors have learned as well. So, the weekly blog continues! Unlike Humpty Dumpty may you never fall down but keep climbing to greater heights. Congratulations. Many thanks for your words of encouragement and support — this is much appreciated by the CapeRay team!